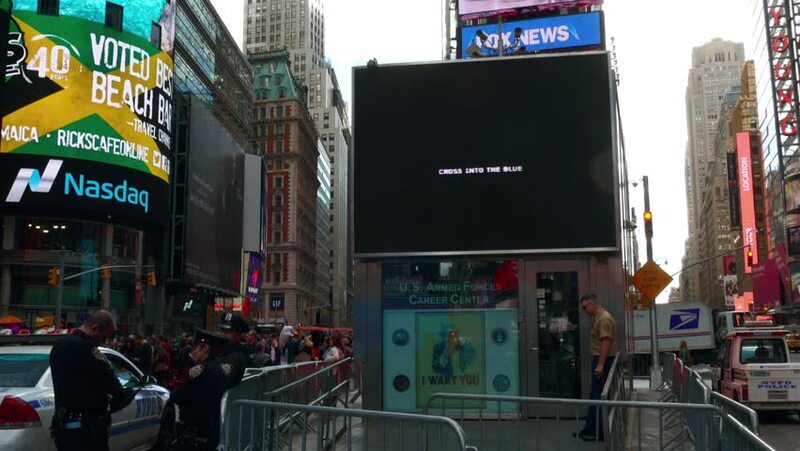 NEW YORK - September 20: Real time video of huge advertisement screens at Times Square on September 20, 2015 in New York. Times Square is a commercial intersection in Midtown Manhattan. Cloudy sky. 4k00:16NEW YORK - September 20: Real time video of huge advertisement screens at Times Square on September 20, 2015 in New York. Times Square is a major commercial intersection in Midtown Manhattan.